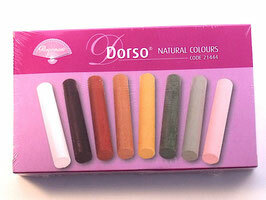 Pergamano Dorso Crayons available in two ranges: Lively and Natural. The Dorso crayons Lively colours were especially developed for the dorsing technique. With this technique you add colour to the parchment paper using the dorso crayons and dorso oil. Eight different lively colours. 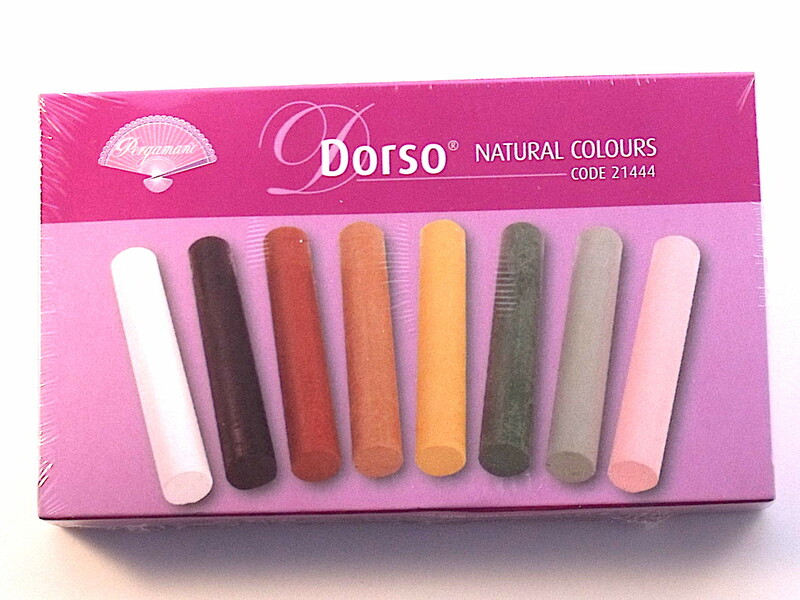 The dorso crayons natural colours were especially developed for the dorsing technique. With this technique you add colour to the parchment paper using the dorso crayons and dorso oil. Eight different natural colours.